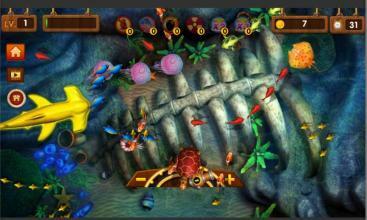 Classic fishing games, cheque-make cool 3D effect, take you fishing aftertaste Casino feeling! 100%-live real time online network versus, countless Hotties waiting for you to come around, don't come home tonight without a fight! Thousands of gun play, and ammunition unlimited bounce, skill locked speed fury, treasure chest raffle lottery games, you will not be bored! 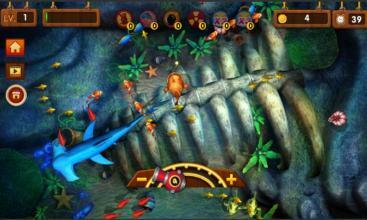 fishing gold is a game of recreational fishing with millions of players competing with each other. The beautifully designed and meticulous picture of the master designer brings you immersive experience to experience the atmosphere of arcade fishing, recreating the arcade game hall's play and giving you a cool and explosive experience. 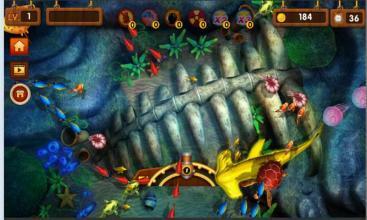 In addition to classic fishing, it also added a variety of small games. features ; Professional: 100% game hall fishing, experience the most classic play. Novel: original thief fish, colored goldfish, playing heartbeat. The most arbitrarily fishing game in 2018, you are joining.